A two colour design, hand screen printed on a 100% cotton white T-shirt. 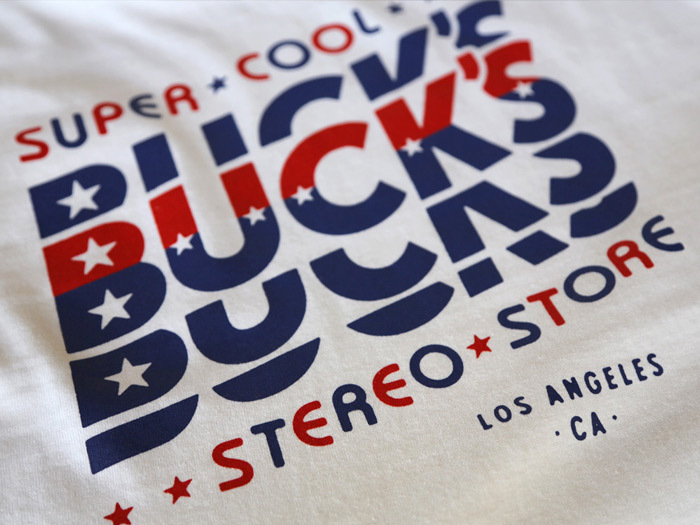 Inspired by the fictional stereo store featured Paul Thomas Anderson’s 1997 film, Boogie Nights. Also available in fitted options. “I think I should warn you all, when a vampire bites it, it’s never a pretty sight. No two bloodsuckers go the same way. Some yell and scream, some go quietly, some explode, some implode, but all will try to take you with them.” A single colour design, hand screen printed on a regular fit, 100% cotton black t-shirt. 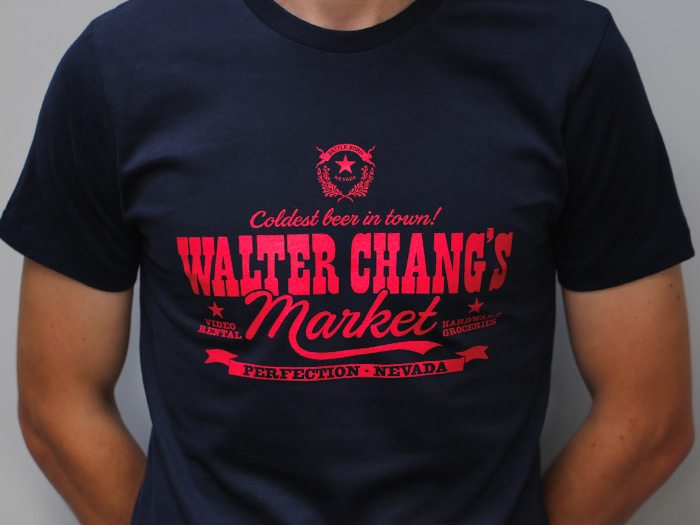 Inspired by the fictional comic shop featured in the 1987 film, The Lost Boys. Also available in fitted and ladies fit options. 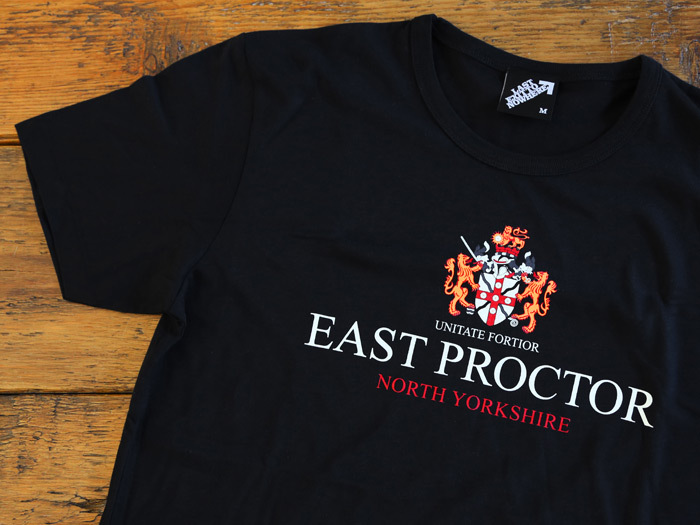 East Proctor is the fictional North Yorkshire village that features in the classic 1981 film, An American Werewolf in London and we pay homage with this new design added to the range today. 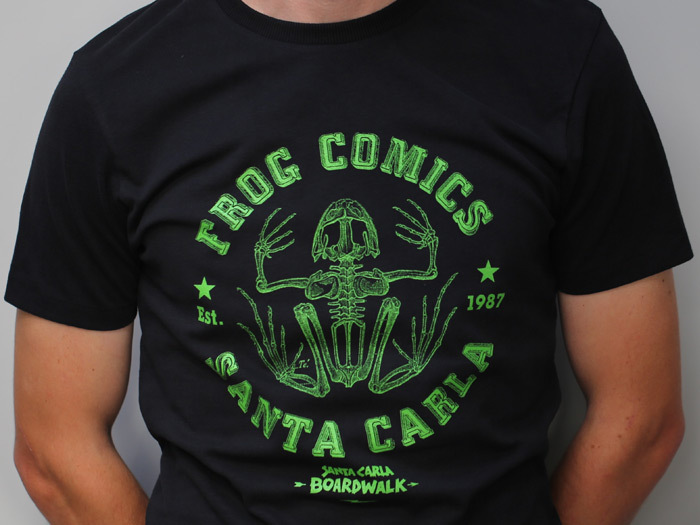 A four colour design, hand screen printed on a regular fit, 100% cotton black t-shirt. Also available in fitted and ladies fit options. 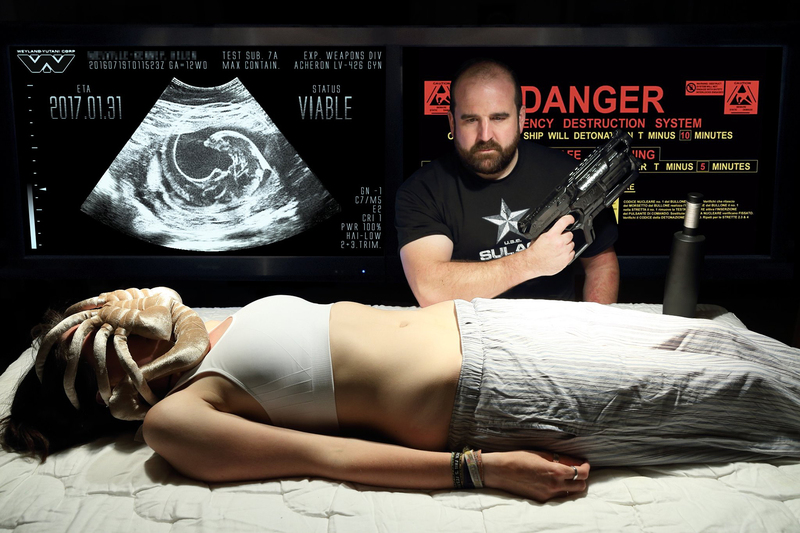 Beware the Moon! A two colour design, hand screen printed on a regular fit, 100% cotton black t-shirt. 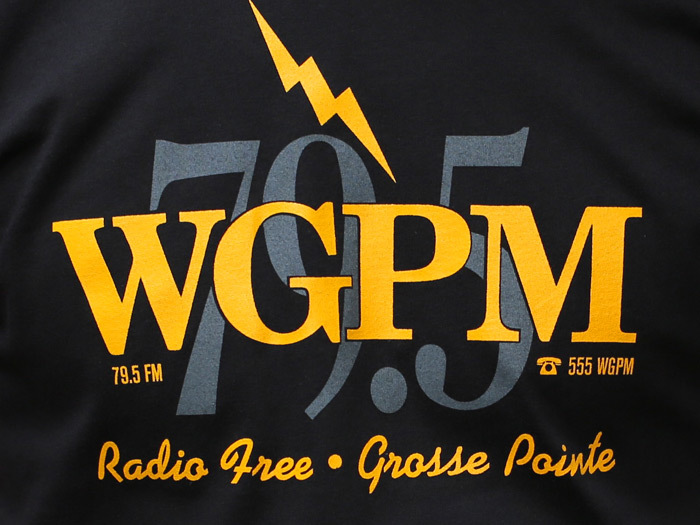 Inspired by the fictional radio station featured in the 1997 film, Grosse Pointe Blank. Also available in fitted options.